2. 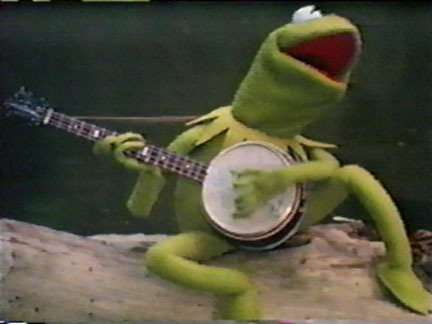 Kermit the Frog – When the plinka-plinka is first heard from the swamps… If the coolest frog around played the banjo – I wanted to as well. I’m not good enough to play while balancing on a log though. 3. The Old Man from the Pirates of the Caribbean ride at Disneyland – I bet you didn’t see this one coming. Indoctrinated to Disneyland at a young age, this was (& is) one of my favorite rides. 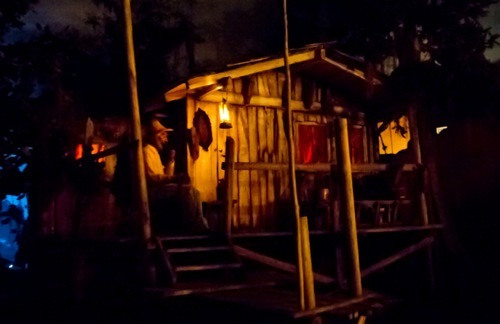 After you get into your boat & float slowly through the Blue Bayou, you can hear slow banjo playing from the porch. Its strange what sort of things end up influencing you so much. this is a good one too..
Kermit inspired me, too! I love seeing people’s inspirations, thanks for sharing them!! I am 100% on board with the Pirates of the Caribbean ride at Disneyland banjo guy! 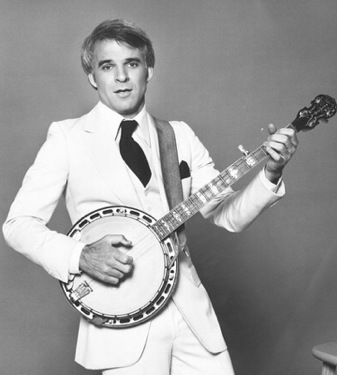 I hate to tell you, but the old man isn’t the one playing the banjo.